Our Corporate Litigation group is recognized as among the finest in Delaware. This stellar reputation is attributable to our many courtroom accomplishments, as well as our unyielding commitment to providing superior quality and value to our clients. Most of the partners in the Corporate Litigation group are “leading lawyers” according to Chambers USA: America's Leading Lawyers for Business and several have been honored repeatedly in the The Best Lawyers in America. We routinely appear in the Delaware Court of Chancery, the most influential trial court in the nation on matters of corporate law. Indeed, two members of our group authored the leading treatise on Court of Chancery practice. Our corporate litigators work closely with the members of our Corporate Counseling group, three of whom serve on the governing council of the Corporation Law Section of the Delaware State Bar Association, the source of virtually all annual revisions to the Delaware General Corporation Law ("DGCL"). We are thus on the forefront of the decisional law and remain intimately involved in the crafting and continual refinement of the enabling statute. Together, Delaware common law and the enabling statute serve as the national model for corporate governance. Our Corporate Litigation practice centers upon litigation seeking injunctive and other equitable and compensatory relief, often on an expedited basis, in connection with disputed questions of internal corporate governance and related principles of fiduciary duty. Those suits most frequently focus on the rights, and fiduciary duties, of directors, officers and majority stockholders of Delaware corporations in the context of a wide variety of corporate acts and transactions, including mergers, tender offers, sales of assets, recapitalizations, reorganizations, liquidations, and proxy fights. Our experience in the field of corporate law long predates the adoption of Delaware’s first modern corporation statute more than 100 years ago. 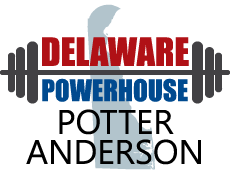 Since that time, Potter Anderson has been centrally involved in the development of the expansive body of statutory and decisional law that has contributed so significantly to Delaware’s longstanding position as the corporate domicile of choice and the preeminent forum for the resolution of corporate disputes. Potter Anderson lawyers participated in many of the most celebrated corporate law disputes of the 20th Century, such as Guth v. Loft, Schnell v. Chris-Craft, Sinclair v. Levien, Smith v. Van Gorkom, Weinberger v. UOP, Revlon, Inc. v. MacAndrews & Forbes Holdings, Inc., and Cede & Co. v. Technicolor, Inc. More recently, members of our Corporate Litigation group played key roles in Hewlett v. Hewlett-Packard, Omnicare v. NCS Healthcare, Inc., Oracle v. PeopleSoft, and In re Walt Disney Co. Derivative Litigation. The expertise gleaned from this rich experience permits us to count among our present clients many Fortune 500 corporations and among our correspondent counsel many of the nation’s most prominent corporate lawyers and law firms. Our litigation practice also embraces the many statutory summary proceedings authorized by the DGCL and committed to the subject matter jurisdiction of the Court of Chancery. The latter proceedings include suits for advancement and indemnification of litigation fees and expenses by officers and directors; actions to enforce stockholder rights to inspect corporate books and records; actions to compel annual meetings of stockholders; actions challenging the results of stockholder elections of directors and other stockholder votes; actions to appoint custodians to resolve director or stockholder deadlock; and other special statutory proceedings such as appraisal actions, and the wide variety of statutory proceedings relating to corporate dissolution and insolvency. Increasingly, the courts of Delaware are called upon to decide disputes involving Delaware alternative entities, including limited partnerships and limited liability companies. Our Corporate Litigation group has substantial experience with such disputes and has been involved in many of the most important alternative entity cases in recent years. A member of the group currently serves on the committee of the Delaware State Bar Association that is responsible for monitoring and proposing amendments to the Delaware Revised Uniform Partnership Act, the Delaware Revised Uniform Limited Partnership Act, and the Delaware Limited Liability Company Act. Members of our Corporate Litigation group also handle a wide variety of business and commercial disputes in the Court of Chancery, the Superior Court of the State of Delaware, the United States District Court for the District of Delaware, and the State and federal appellate courts. These matters include contract disputes, business torts and employment-related matters. In addition to the foregoing, members of our Corporate Litigation group provide counseling to corporations, boards of directors, officers and shareholders in connection with ongoing or anticipated litigation. With substantial litigation expertise in corporate and commercial disputes of many kinds, we are uniquely qualified to provide guidance to corporations and their constituencies on a variety of substantive matters in anticipation (or during the pendency) of litigation, including adherence to statutory and fiduciary obligations under Delaware law, avoidance of potential third-party liability, advancement and indemnification, and insurance coverage. Members of our Corporate Counseling group are routinely consulted in this context to provide added substantive and transactional expertise to ensure that our clients receive superior and broad-based representation. Our experience has proven that this counseling role is a key component of a successful overall litigation strategy, whether or not litigation ultimately ensues. Do Directors Have Reason to Worry? The Duty of Disclosure and Appraisal: Say What? Sox Appeal: Is The Delaware Judiciary Heightening Its Standards For Director Independence and Good Faith?